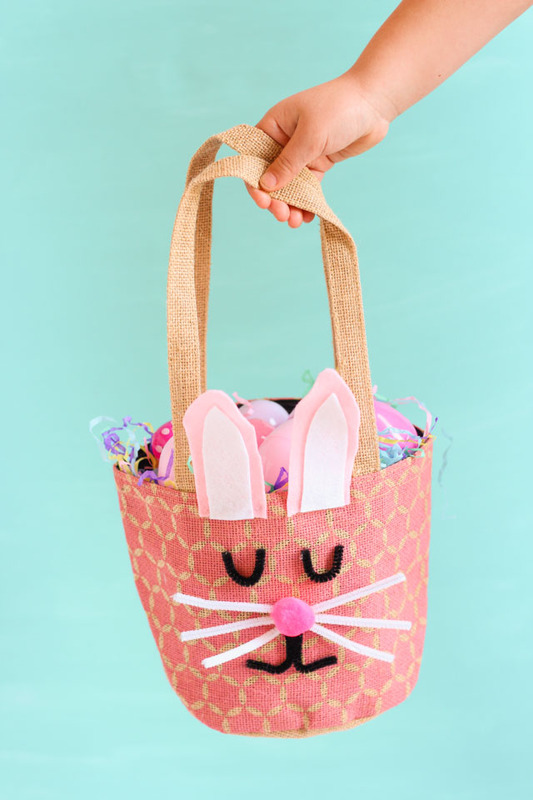 Here’s a fun DIY Easter basket idea that you can make in under 30 minutes for under $10 in materials! 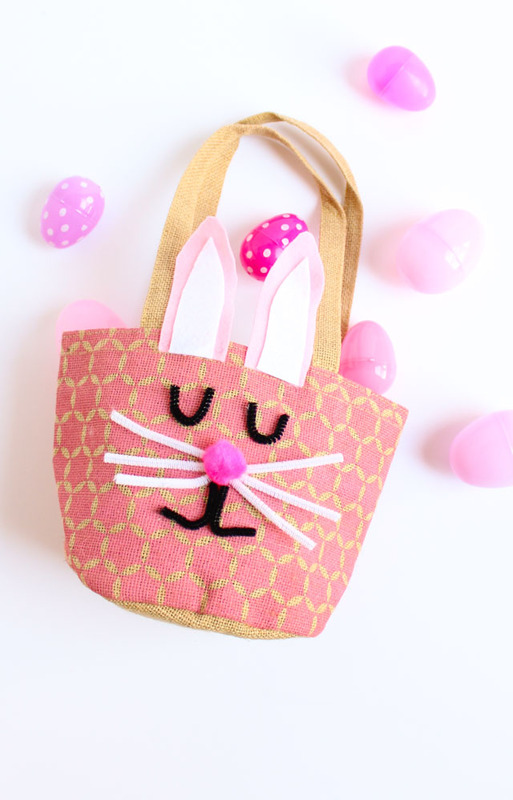 I’ve partnered with Global Purpose to show how you can turn their Help One Now Giving Bags into sweet bunny Easter baskets. Texas friends, these bags are part of their new spring line that can be found at your local HEB floral department. 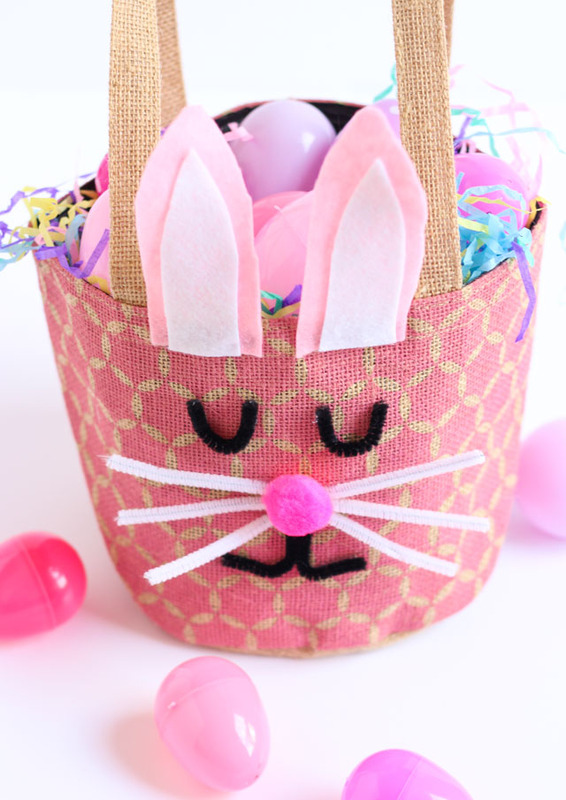 Read on to see how you can make these simple bunny baskets, while helping support teachers in Uganda and Haiti with your purchase of Help One Now bags. 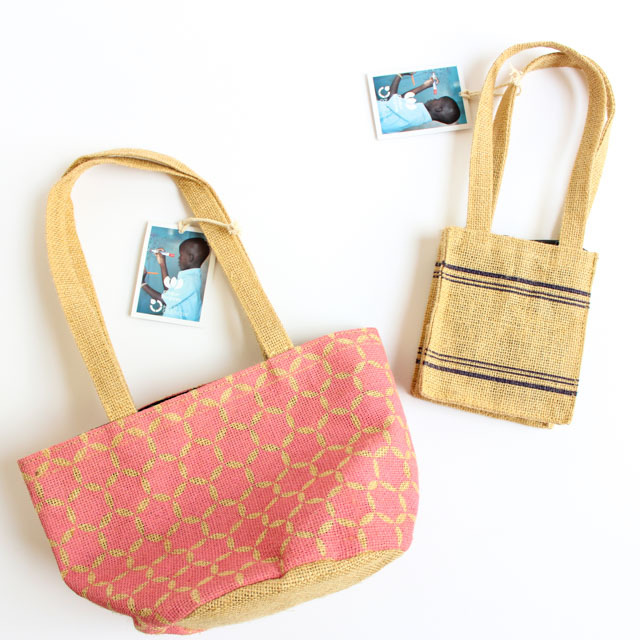 Global Purpose was founded as a social enterprise to provide education and income opportunities to women and children living in vulnerable communities, including Haiti, Uganda, and India. They currently provide fair wages and training for 50 teachers at 4 schools across Haiti, and 16 teachers in rural Uganda. And through those teachers, the future of over 2,000 students each school year are directly affected. Your purchase helps create a more hospitable world for everyone – such a worthy goal, especially at Easter time! 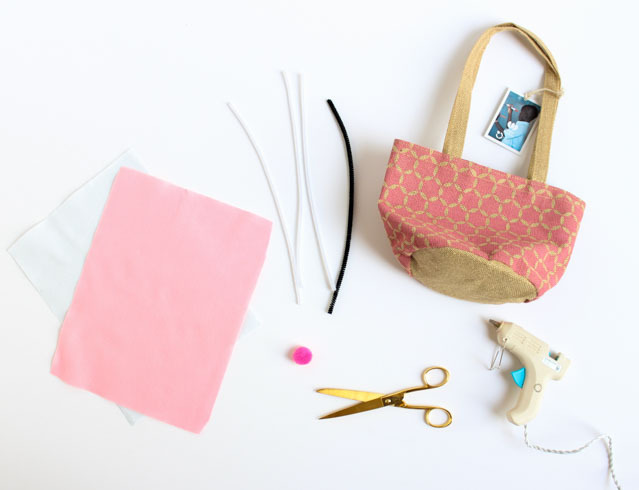 Their bags are are great for holding bouquets of flowers (they are even lined with plastic on the inside), but they offer lots of DIY possibilities too. Remember how I created Halloween “BOO” bags with the Help One Now giving bags last year? I just love these versatile bags! 1. 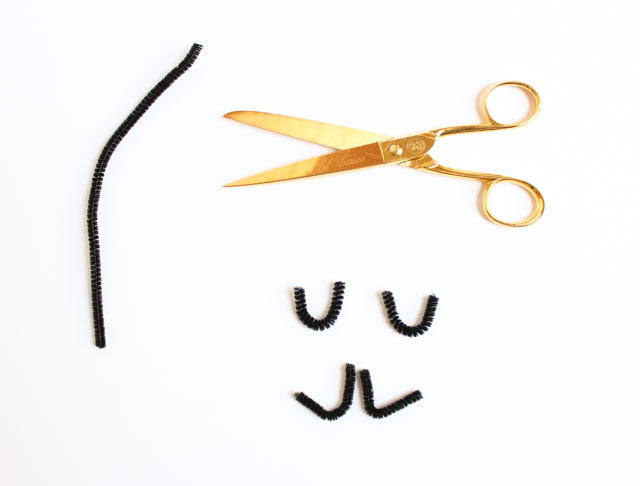 Cut four 2″ long pieces of black pipe cleaner with scissors. Bend two of them into eyes and two of them to form the bunny’s mouth. 2. 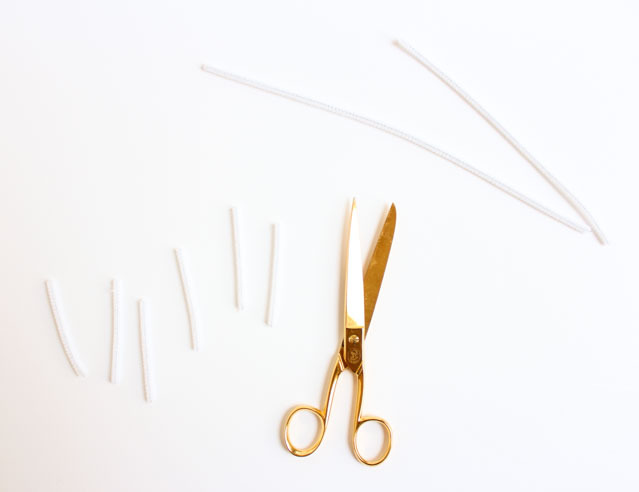 Cut six 3″ long pieces of white pipe cleaners. 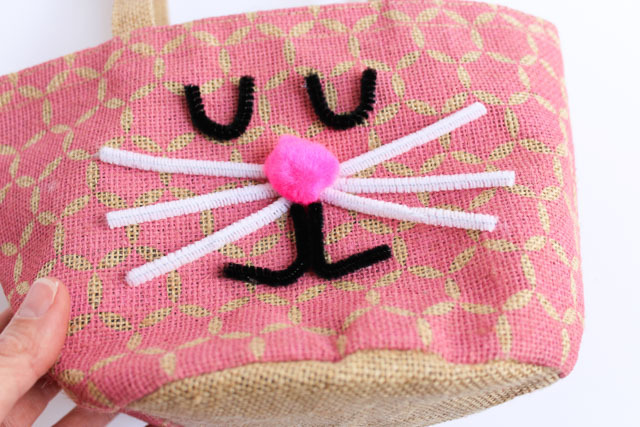 These will be the bunny’s whiskers. 3. 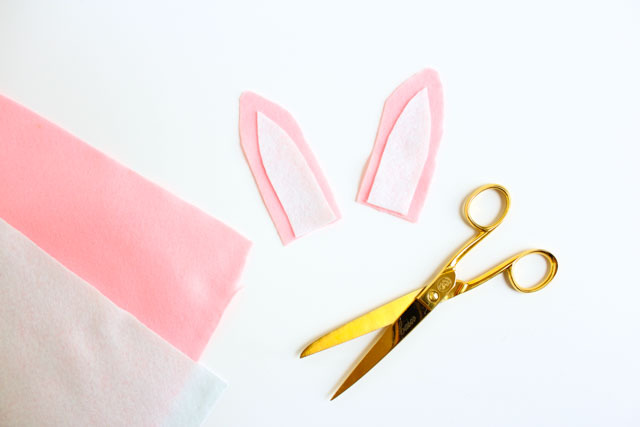 Freehand cut two ears from pink and white felt. Adhere the white felt to the pink felt with a little hot glue. 4. 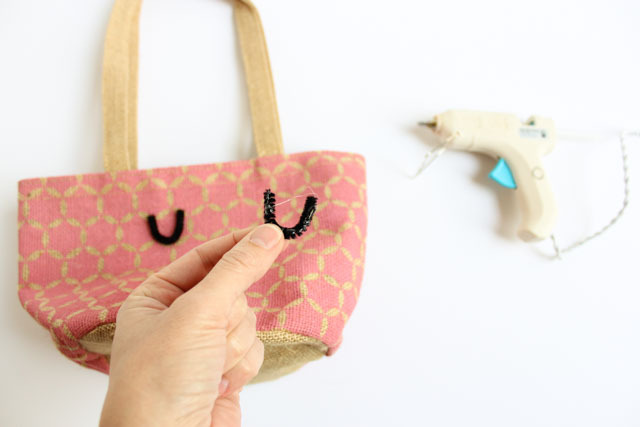 Start by adding the eyes to the basket with a bead of hot glue along the backside of the pipe cleaner. Center the eyes under one of the bag’s handles. 5. 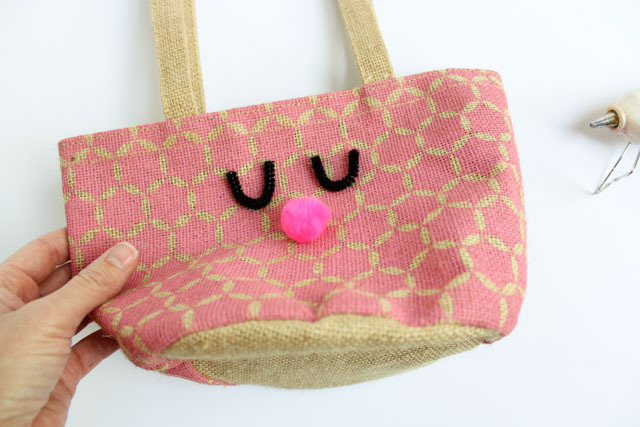 Add a pink pom-pom below the eyes for the nose. 6. 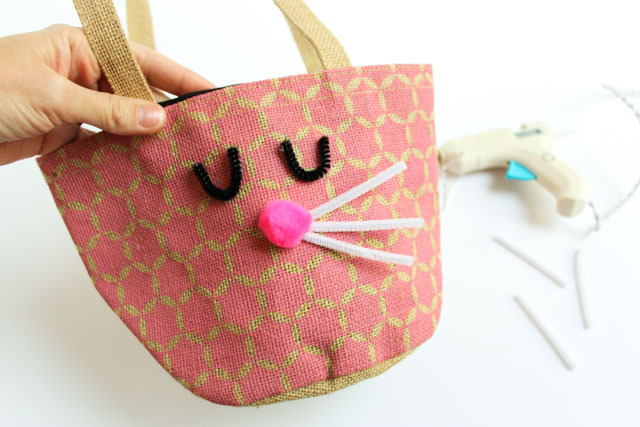 Add a small dab of hot glue to the end of each white pipe cleaner and add three under each side of the pom-pom nose to create whiskers. 7. Add the mouth with a bead of hot glue along the back. 8. 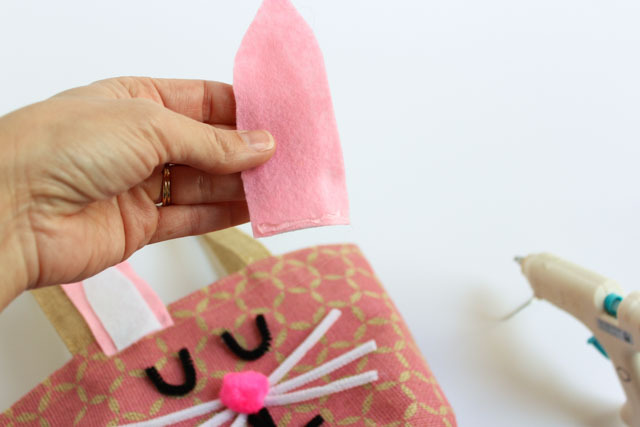 Finish by adding the ears to the top of the bag by adding a bead of hot glue along the bottom of each ear. 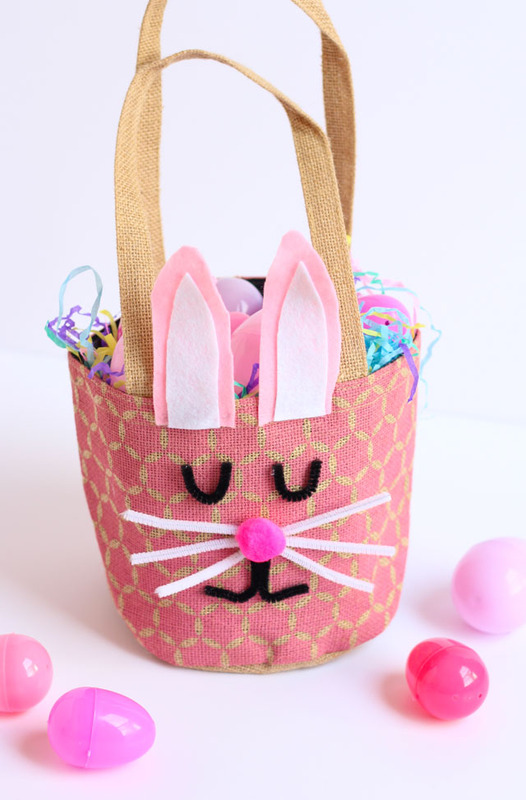 Fill with colorful grass and Easter eggs, or a special Easter gift! 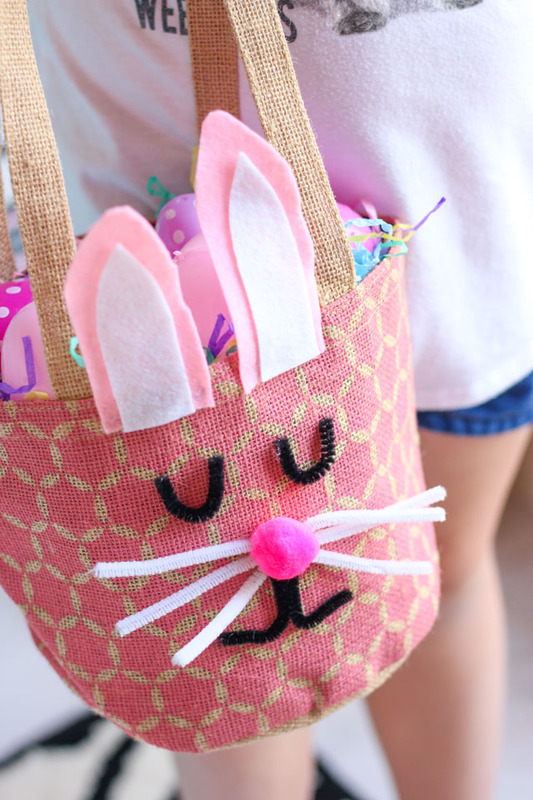 If you don’t live in Texas where Help One Now bags are available, this technique could be used to turn just about any bag or basket into an Easter bunny! This post is sponsored by Global Purpose and Help One Now.